​The 2GIG GC3 and GC2 Security Systems are designed to interface with 2GIG 345 MHz Sensors. 2GIG offers a full device lineup that includes all of the security and life-safety sensors that a user needs for a complete security system. Improve your 2GIG System with 2GIG 345 MHz sensors from our website. 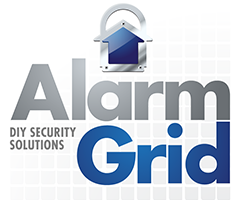 Some of our most popular alarm panels are the GC3 and GC2 Systems from 2GIG. These wireless all-in-one panels are easy to use, and they are well-known for their high-quality and excellent durability. For use with these systems, 2GIG manufactures their own lineup of in-house sensors. These sensors operate at a wireless frequency of 345 MHz, which makes them compatible with the GC3 and GC2 Systems. They can also be used with the Honeywell Lyric Controller. However, 2GIG sensors are not compatible with other Honeywell Panels at this time, even though these systems all use the same wireless frequency of 345 MHz. The 2GIG Sensor lineup start strong with outstanding security sensors that make for great additions to any 2GIG System. Some of the most essential sensors are door and window contacts. These devices are used to let the system know when a door or window has been opened. 2GIG offers both surface-mount and recessed sensors. Surface-mount sensors are somewhat easier to install, since they require no drilling. But recessed sensors will not be visible on the outside of the door or window. For a surface-mount contact, most 2GIG users choose the 2GIG DW10, a small and compact sensor that is known for being extremely reliable. But if a recessed contact is desired, then the 2GIG DW20R is an outstanding option for 2GIG Systems. Another important security sensor to use with a 2GIG Alarm System is the 2GIG PIR1-345. This is a passive infrared (PIR) motion sensor that scans an area for infrared energy. If any change in infrared energy is detected, then the sensor will assume that motion is present. The device will then send a signal to the alarm system to let it know about the situation. Many 2GIG owners will also use a a 2GIG GB1 Glass Break Sensor with their system. This device actively listens for the sounds associated with breaking glass. If the GB1 detects these sounds, it will send a signal to the security system. This makes the GB1 great for monitoring windows and glass casings. 2GIG also offers a complete lineup of life-safety sensors that are used to alert building occupants to a possible life-threatening situation. This could include a fire or an outbreak of carbon monoxide gas. The 2GIG SMKT3-345 is a triple-acting life-safety device that offers smoke, heat and freeze detection. This makes it an extremely versatile sensor that is great for almost any setup. For the detection of carbon monoxide gas, 2GIG offers the 2GIG CO3. This device will send the system into alarm upon sensing unusually high levels of dangerous carbon monoxide gas. From there, the system can contact a central station to request immediate emergency dispatch. By law, the central station must send out emergency personnel after a carbon monoxide detector has been activated. Of course, this will only take place if the user has a monitoring plan that includes coverage from a central monitoring station. But if the user has a self-monitoring plan, they must contact emergency help on their own. What is the Range on a 2GIG Security System?